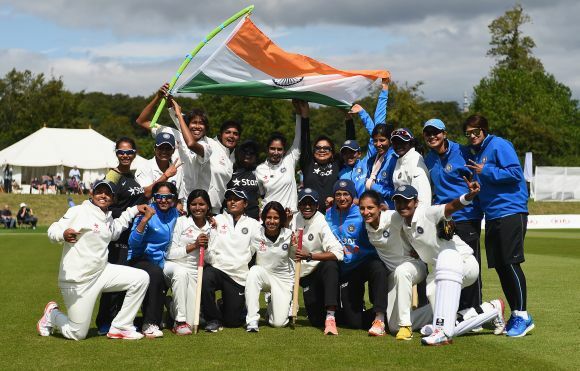 The Indian Women’s team did not let an eight-year hiatus from Test cricket come in their way as they completed a convincing six-wicket victory against England Women in the one-off four-day Test at the Sir Paul Getty’s Ground in Wormsley yesterday. It was indeed a great achievement for a team with eight debutants to defeat undoubtedly the most professional women’s cricket team in the world. With this win, India Women have maintained their unbeaten record in Tests in England, which is nothing short of remarkable. 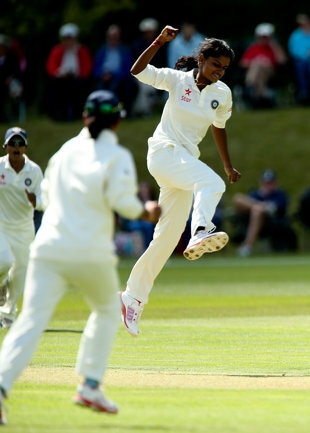 In eight Tests in England, India Women have now won two and drawn six. The other victory had come in 2006, which was incidentally the last time India Women had played in a Test before this. On that occasion at Taunton, the margin of victory was five wickets which enabled India to win the two-match series 1-0. It is quite perplexing that India did not play a single Women’s Test for eight years since that historic win. Whatever may be the reasons, the Wormsley win should serve as a powerful message to the administrators who treat the women’s game with apathy more often than not. Coming to the match, it was India’s bowlers who set the tone on the first day itself. After captain Mithali Raj – who also led the side in 2006 – won the toss and opted to field, her pace attack, led admirably by debutant Niranjana Nagarajan, proceeded to jolt the usually solid English batting line-up. The Tamil Nadu medium pacer finished with outstanding figures of 4/19 as the home team were bundled out for a paltry 92. When she took a breather, the likes of Jhulan Goswami and Shubhlakshmi Sharma kept things tight. All the bowlers maintained a disciplined line and length and exploited the conditions to the fullest. Indian openers Thirush Kamini and Smriti Mandhana replied with a gritty 40-run stand, but India were then in danger of losing the initiative when they slipped from 40/0 to 64/6. Niranjana came to the rescue and starred with the bat as well, top-scoring with 27 to help India gain a 22-run lead – a very valuable one on a pitch where every run mattered. In the second innings, it was Goswami – reputed as the fastest woman bowler – who was the pick of the bowlers. She returned figures of 4/48 while her fellow pacewomen Sharma and Shikha Pandey, and left-arm spinner Ekta Bisht all took two wickets apiece. England recovered from 84/6 to 202 all out. The target of 181 was a tricky one, but the openers Kamini and Mandhana again gave a confident start, this time adding 76. 18 year-old debutant Mandhana batted like an assured veteran and went on to score 51 runs, studded with nine fours. A minor wobble saw India get reduced to 115/4, but captain Raj was certainly not going to give an inch further to her opponents. With the impressive Pandey for company, she steadily took charge of the situation, and ended up with an unbeaten 50. In the 2006 victory, it was Raj who had struck the winning runs. This time around, she was at the non-striker’s end as she watched Pandey (28*) hit the winning boundary off Natalie Sciver to spark off the celebrations in the Indian camp. In testing conditions, both the teams made commendable efforts to make a match out of it. The run-rates in the four innings read 2.22, 1.77, 2.09 and 1.91, which suggests that these women do have the temperament to put a price on their wickets and to play Test cricket on a regular basis. On the English side, pace-bowling all-rounder Jenny Gunn was excellent with both bat and ball. She took 5/19 in the first innings, and then scored an unbeaten 62 in the second innings. Wicketkeeper Sarah Taylor, regarded as one of the best current players, scored 30 and 40 in her two innings. Considering many factors, this is a victory which deserves much more than attention for a few days. As mentioned above, India Women had not played a Test for eight years, and eight of the eleven were playing in whites for the first time. In spite of that, they have won against a team which has much more Test experience, and over the past one year, won two back-to-back Women’s Ashes series. The Englishwomen have had regular multi-day cricket through the structured county competition. By contrast, the Indians came into this match playing nothing but the World T20 in the last five months. But will this victory translate into further Test fixtures for India Women? Former cricketer Diana Edulji – India Women’s highest Test wicket-taker – is completely right in suggesting that at least one Test should be included in all of the Indian team’s future series, be it home or away. But unfortunately, Women’s Tests have had few takers for quite some time now. Since 2007 until this match, only Australia and England had played Women’s Tests. New Zealand, West Indies and Pakistan all played their last Test more than a decade back. 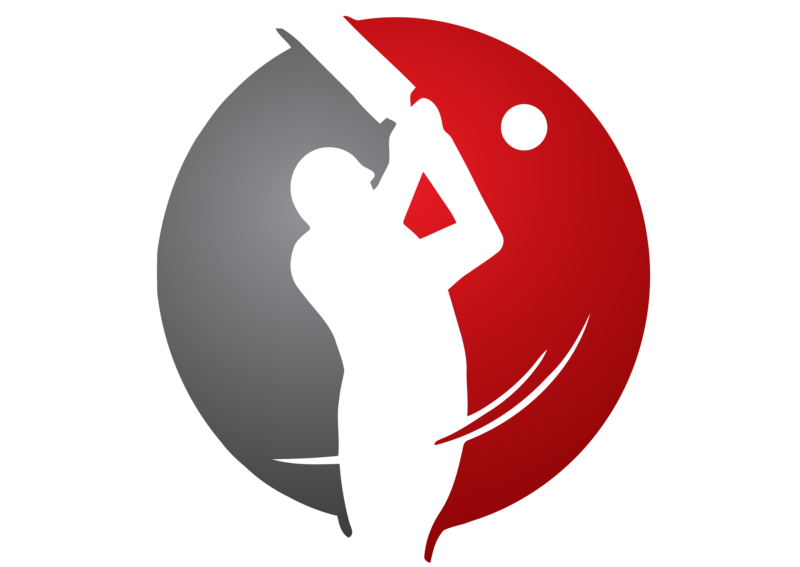 Since 2000, only 27 Tests have been played. Even the Women’s Ashes is now a combined affair played according to a points system, with one Test plus a string of limited-overs matches. The new Ashes model is suitable to the Women’s format, and could be tried by other countries. India’s win at Wormsley should be a strong enough signal to the BCCI to take steps towards professionalism of women’s cricket. The biggest disappointment was that the match was not telecast. It is quite a shame, given the numerous sports channels in India, who instead keep on broadcasting irrelevant T20 competitions or highlights of Indian batsmen piling the runs on home pitches ad nauseam. The BCCI is the bigwig of the so-called Big Three and it would do well to show some much-needed interest in the women’s game, just like England and Australia have. For now, Mithali Raj’s team can bask in the glory of their delightful victory and hope that their next Test match is not too far away.